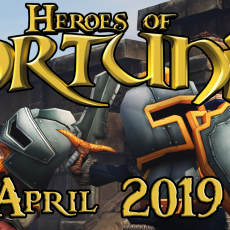 Weekly Glimpse #11: Big Brute – Polska Lemon Ltd.
Today is the day we resume our weekly glimpse into the development of Heroes of Fortunia, and we’re going to start things off by looking at another rather unique minion you’ll be able to encounter. 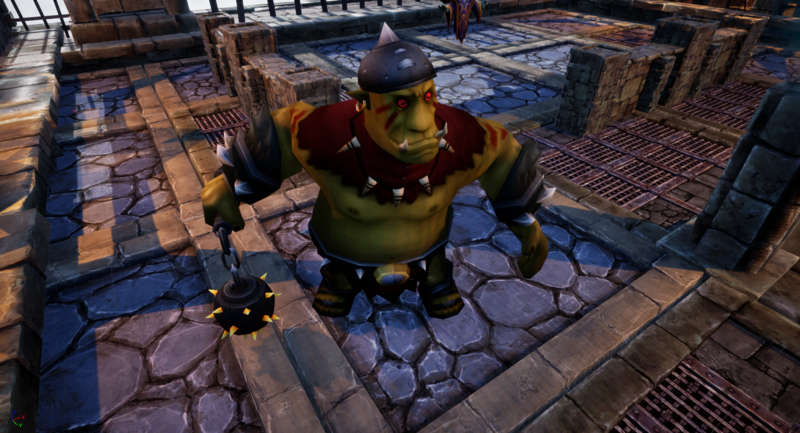 The Big Brute, as he appears in-game. The Big Brute is a very powerful but slow melee minion, inflicting big damage using his gigantic mace. However, don’t let his slow movement speed lull you into comfort, because if you get too far away from him, he will slam his mace on the ground and send a powerful projectile your way! 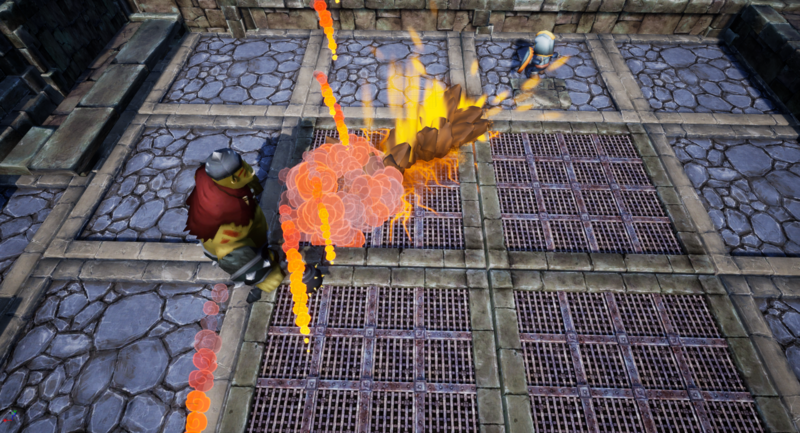 The projectile does much more damage than his melee attack, so it is very important that you don’t let yourself get hit by it. The Big Brute, just having sent out his fissure projectile. The versatility of the Big Brute makes him the perfect minion to use in many situations, and we cannot wait to see what kind of setups you will come up with once the game is out! This concludes today’s weekly glimpse. Be sure to subscribe to our newsletter on the front page so you never miss a new blog post! 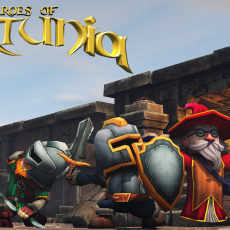 ← First Closed Beta Test Concluded!